Here is the link to the NIA Newsletter fall of 2003. EC&M scam. It's long, but is a very interesting read. E.C. & M. ~~ & M & M & more M.
HOLY CRAP!! What the heck is going on. 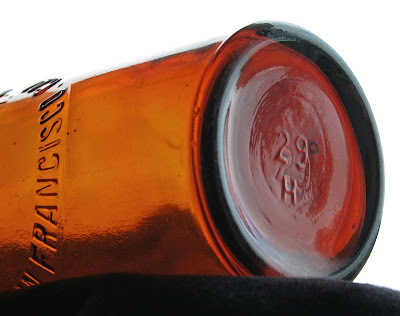 Have you been following the "pressed glass" in Pole Top Auctions? I admit, I'm the dude that is usually late to the party but come on.... this is ridiculous. Move over Clubhouse, don't look back Cassins, another form of western glass is on it's way to the moon! I have several good friends that enjoy these heavy glass objects, heck, I like 'um. I even thought I might enjoy owning a couple of the less common greenish or blue shades... that was before I finally realized "that train has left the station" for me. At the Las Vegas Show I got a reality check from Dennis E., when he told me he was the winning bidder of a highly acclaimed / borderline fantastic E.C.&M. Ok, I'll bite.... what did it cost you ... says me. Good thing I was sitting down, or you could have knocked me over with a feather. Let's just say it was a lot of dough!! But compared to the price these E.C.&M.s, from the Patocka Collection, are getting hammered down at... looks like he was way ahead of the pack. Check out the results on line.... be sitting down!! Like all of you, I enjoy many different aspects of Western collecting. 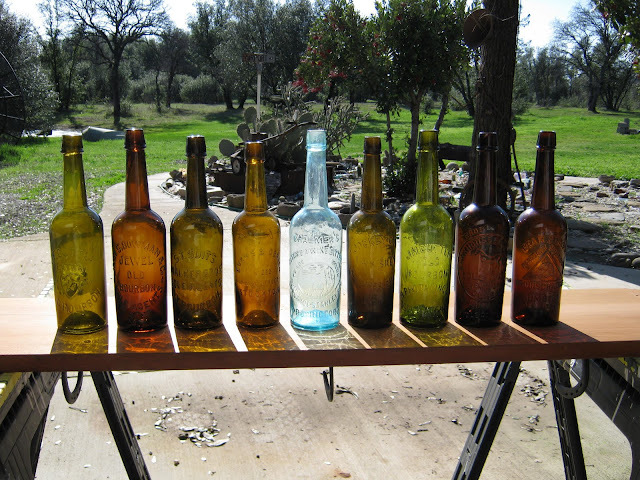 Bottles, insulators, advertising, gold rush items, California gold rush history, gold rush pioneer coinage... now there is a category that will make your palms sweat before making an addition to the "little collection". I think it's getting too late in the game for me to be getting into this "heavy glass". I'll just have to enjoy it from a distance. It is really amazing to me how well the insulator hobby has recovered from the E.C. &M. fraud of a few years ago. Some dedicated western collectors helped put an end to that potentially devastating scam! Phony specimens have been identified, and pretty much corralled I have been told. If these prices are any indication... looks like confidence restored. The story of the capture of the a-hole that allegedly faked the ECM's is fantastic. Allegedly my arse! They caught him with the moulds. Very worthy of a post.. anyone have a copy? Is there a copy?? Since I am apparently unable to extract a nice whiskey or bitters from the Earth, I thought I would show a few of the 50 or so jamaica Gingers in my collection. I have a nice run of greens, but take a look at the swirly, cruddy, bubbly, chunky, crooked, rejects in this grouping! I seem to be a Jamaica Ginger digger these days, though a few in my collection have come from shows, or other diggers. While Bryant's and Cassins were coming out of the ground in S.F. in 1998, Mike A. and I were the lucky ones who found a hole full of jakes...who needs a couple Bryant's anyway? I guess every bottle does not have to be big bucks to be beautifully crude and collectible. From left to right: McMillan & Kester with a flat base, and incredible crudity;E.G. Lyon's with a flat base, and foamy with bubbles; Dr. Barnes J.R. Gates, with a million bubbles; Ice blue McMillan & Kester with swirles, and junk in the glass; Jade milk McMillan Kester that is so bubbly, you cannot see the embossing, but it is fully embossed, and not stained; Dr.Barnes R.Hall which is one of the earliest of the S.F. jakes. I know there are some great jake collections out there, and they are getting pretty difficult to acquire...so I will just dig a few more! Here is a nice early brand. G.O. 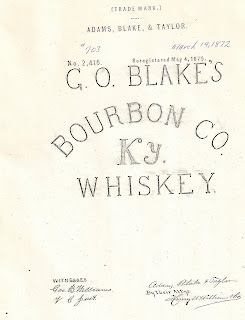 Blake patent application in March 1872 indicates that they had not used the Trademark as of that date, but were about ready to start. Pond, Reynolds ~~~ More, Reynolds. Here is my run... 3 on the left are Pond, Reynolds. The dark one has that reddish or almost a slight puce tint that you sometimes find in the early fifths. We don't find these in UT. Two of the later Clark's, Samual More bottles were found here. The strong hold for these Blakes is in Nevada. In, and around, Austin and Eureka. SOLE AGENTS FOR THE PACIFIC COAST gotta love that!! These are big bodied fifths.. "the big boys" as I called them before. I measured around several of my fifths for some comparison... Blakes, Pond-Reynolds - 26.2 cm, Cutter, Hotaling non crown - 26.1 cm, J.F. Cutter, the later curved R variant - 25.5 cm. This later J.F. is noticeably more slender than the older variants. Just more capacity reduction going on I guess. E. Marting figured it out, Hotaling figured it out, probably Moore, Hunt as well... haven't measured. Getting about 12 extra fifths per barrel with the slightly smaller "fifth". These old boy's... Reynolds & More... can't blame Pond I guess... stayed with that same mould for all those years. How much would a new mould have cost?? I related the story of early digger Willie M. of Austin. He and 3 buddies dug in the Reese River area in the 1960's and 1970's. Permissions were easy for Willie, he lived in town and knew everyone. That was before out of town digging pressure had ramped up the blood pressure of the locals. Anyway, they had dug a bunch of bottles, a bunch of good bottles... Austin is a bourbon town, needless to say they had a few nice fifths. They had cut into a huge trash layer during some U.S. 50 roadwork back in the day... kept the boys in digging for the entire summer. About the time that ran out, and other immed. hot spots had played out, Willie decided to get working on the 'honey do' list. How about that little addition to the house. Digging the footings for the addition, Willie clipped part of the top off a small privy. Small but loaded!! Kinda like the great Teakettle dig, these things grow and grow. Just last year I had a shop owner in Austin tell me Willie found 35 Blakes in that hole. I visited with Willie in 1996 and he told me he had found 14. All but one in good shape. Not a bad backyard find.. I wonder what his digging buddies backyards looked like after Willie hit the jackpot! 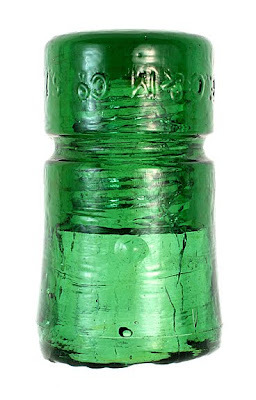 Here is an interesting website that contains some information about bottle moulds, bottle manufacture, etc. Check out his posting on "mold cavity half-leaf repair marks". We have all seen these on bottles, there was an article on these marks in the "Antique Bottle and Glass Collector". I have a Shriver's Oyster Ketchup with that exact mark, I just sold a Boley soda with similar mark. Half leaf "repair mark"~~ not so much. Not a repair patch to the bottle. Not a repair to the mould. 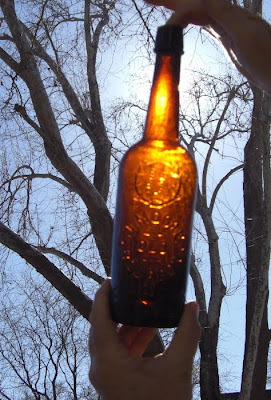 As reported by Warren F., most likely a mark or anomaly created by the pinching and then re-centering of a bottle during the early stage of bottle formation. Another picture from Ray Klingensmith's Auction#62. Probably newer than the bottles we are talking about in this post. That mould boy on the upper right looks like a bottle pincher to me. I just received my hardbound copy of Ray Klingensmith's Auction #62. Ray has been offering these for $14, that includes postage. 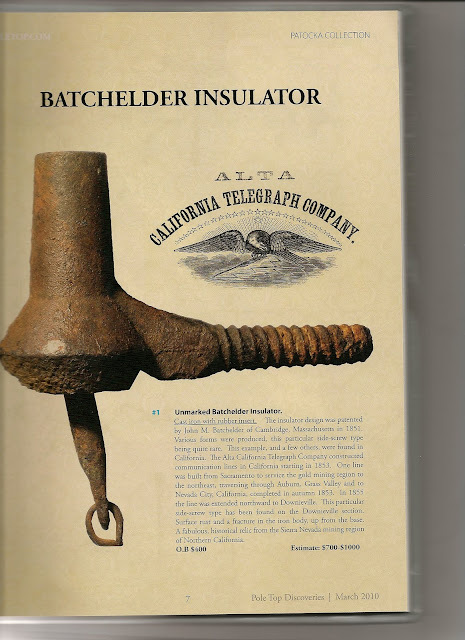 I'm not an insulator collector, I have found a few, but the beauty of those San Francisco made gems is hard to ignore. 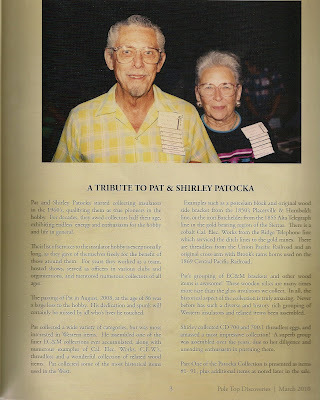 I knew Pat Patocka for over thirty years. Strange twist of fate back in 1974, my mom had decided to move from Ogden, Ut. to take a job at McClellen AFB in Sacramento. Pat ended up being her boss. When my mom told him I had found a few threadless insulators while sloshing around in the mud and water in the early U.P. town of Corinne, Pat was on the phone with me continually. I ended up selling him quite a number of those S.Mckee and unembossed threadless "paperweights"... heck I just wanted bottles. We became good friends, later with his involvement with the Auburn bottle show we continued our friendship and visited regularly right up to his passing in 2008. 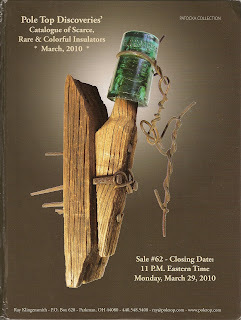 This Pole top/ Glass Discovery auction has a portion of Pat and Shirley's collection. Going to take a couple of more auctions to sell it all I think. Anyway, the long and short of it, I wanted to have a few pictures of the glass that Pat had collected over the years. So I bought a catalog. Hard bound catalog for 14 bucks.... are you kidding me. I'm so tight that I screw my shoes off and on, but I can go $14. When it arrived, SWEET!! Western glass, glass making history, western telegraph history! That's just half the catalog. The other half is quite a grouping of beautiful bottles. Hostetter collectors have a few real nice ones to bid on. So, if you haven't spent your $14 for the catalog, do it quick before he runs out of them. I don't know if Ray is going to offer more of these hard bound catalogs, I don't know how he can do it for this price, but this one is fantastic. If any of you foothill diggers/metal detectorists find one of these cast iron insulators... well, now you know what it is!! Here is a very interesting piece which pretty much has it all as far as I am concerned. One of the most exciting Western whiskey cylinders is the Thos. Taylor Importers, Virginia, N. This paper is after these bottles were made I believe, but is a nice piece of history none the less. With "Virginia, Nev." "Wells Fargo & Co. Bank" "Thos. Taylor & Co." and "Washoe Club", the references to several Nevada, and mining concerns are on this one piece. Perhaps another "blogger" could post some detailed history on Thos. Taylor, and his bottles. The Chico show has always been a favorite of mine. Spring is in the air, and the glass shows up from the past four months of digging. Each year this show does not disappoint. In 1998 there was the bounty from the great S.F. dig. I have seen Clubhouses, Bears, Barrels, Birds, and Horses. This year was particularly interesting as rumor and fact combined all in one place. There are "pairs" of globtop fifths coming out of the ground this year. 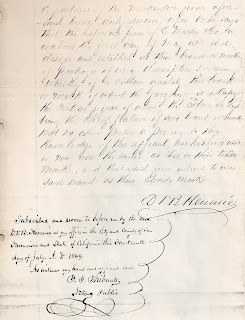 Two Whiskey Merchants, two J.Moore's, two McKenna's, two F.& P.J. Cassin's...geez what a Winter. I observed some nice glob tops available for sale, and a few which were not. There were some beauties. The McKenna's were a light yellow amber, and whittled, there was a Battery St, Taussig fifth dug in the same hole, and it found a new home. The J.Moore's were crude and well struck. There was a greenish Bird Cutter, a greenish Miller's flask, some Nabobs, Livingston's Blackberry Brandy, a nice aqua Gold Dust, a WICKED whittled Clark's, some circle Cutters, and an O.K. or two. I was able to finally bring a crude, and mint Dr. Miller's Ratafia home which made my show for sure. Dennis E. brought a spectacular Jacob Denzler beer to show...wow what a bottle! Other than the Miller's flask, there were not too many flasks represented. There was a Lilienthal teardrop, two 3 Cities Lilienthal's, and a "High S.F." Lilienthal. That was about it. It is always nice to visit with friends, and hear the digging stories of the past few months. Im sure I missed some good stuff, but you just cannot be everywhere at once.If you like to buy fresh dug glass as I do, this is a great show to attend! Although many fine bourbons were represented at the Chico Bottle Show yesterday, one very recent find walked in the door and fell into a fellow collector's welcoming hands. Suffice to say the the purchase price was extremely reasonable for the superior quality of the bottle. It is a J.Moore/E.Chielovich fifth that has "day one" embossing and is whittled to death. 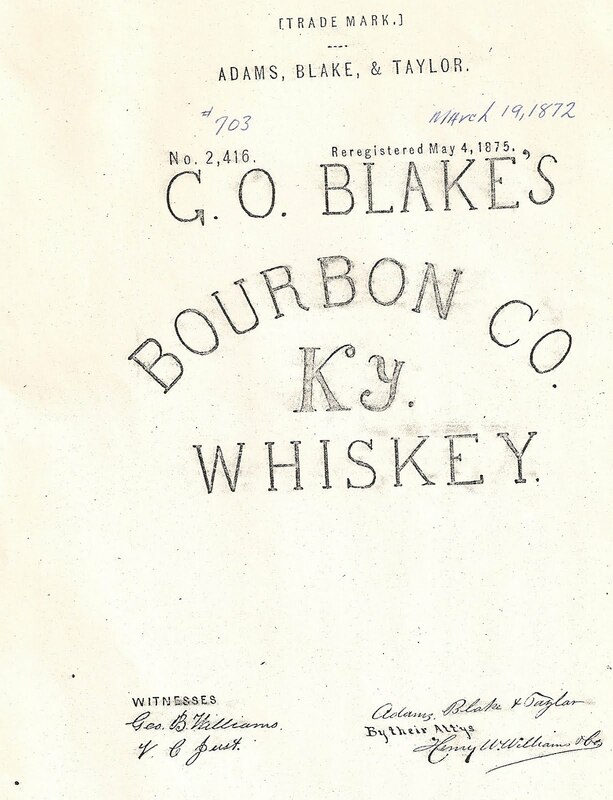 Rumor has it that five other very rare old bourbons were found along with his one and purchased by another collector for a minimal amount. The others will be mentioned soon enough, but this is the only example to be offered for outright sale. Sorry about the poor quality of the photos, but they were taken early this AM and kind of hurried. Maybe some better ones will follow at a later date. Dale's post about the top 10 Western flasks a few days ago prompted me to dig out this trademark copy for Miller's Extra Old Bourbon. I didn't comment about his top ten, didn't have any argument with it. I guess I might have switched a couple around, but the top of the list, pretty much the entire list was fine by me. These Top 10 lists, or Top 25 lists are interesting, but I haven't put too much stock in them over the years. I like to look at individual examples of bottles and I have my own "private" 'wish the heck I owned that bottle' list. We all know of bottles that, when you see them, you can hardly take your eyes off them. If you're really fortunate... they are in your own collection. How about a J.H. Cutter fifth being in the top 10? Not likely if you took a straw poll. There is a green (t-49) in Sacramento that is in my top ten! There is a lemon yellow J.Moore in Nevada that is in my top ten. I'll save my top ten fantasizing for another post. There is this "Medford" small circle Millers(tf-20) that is most definitely in my top ten. There are a few small Miller's flasks around. The bottle is doubly interesting to me because we find them here in Utah. Both large and small circles are widely distributed in Utah. The small circle Millers is an early flask. I can not tell you with certainty when the first embossed Miller's flasks hit the market, but I will give you a couple of data points and some conjecture. The brand was trademarked in California July 1869. 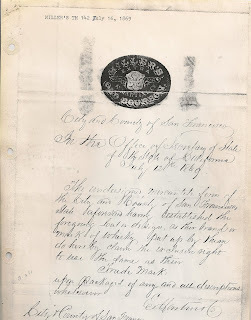 In the application, Martin and Henarie indicate that they have been using the "mark" since May of 1869. The "chief feature" of the mark being the "Fluer de lis". 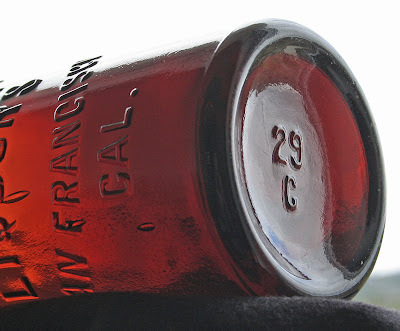 If we are talking about 'older' western flasks, 1869 is a pretty early start date! Most other pint flasks have their starting point more toward the mid to later 1870's. There is no documented proof that the smaller circle Miller's is the older of the two designs, yet it is almost universally believed by collectors that the small's were the first container. Everyone says "they just look older", ok?? Yes, I firmly believe the small's are the older flask. How about "field" dating? I have found these flasks in a number of places in the Wasatch Mtns and the Oquirrh Mtns in Utah. But I can't pin an accurate date on usage. The mining activity at certain locations is documented to the exact month and year in ore shipment reports. With the steep mountain terrain here, miners lived in bunk houses or boarding houses right next to or at least very close to the mine. 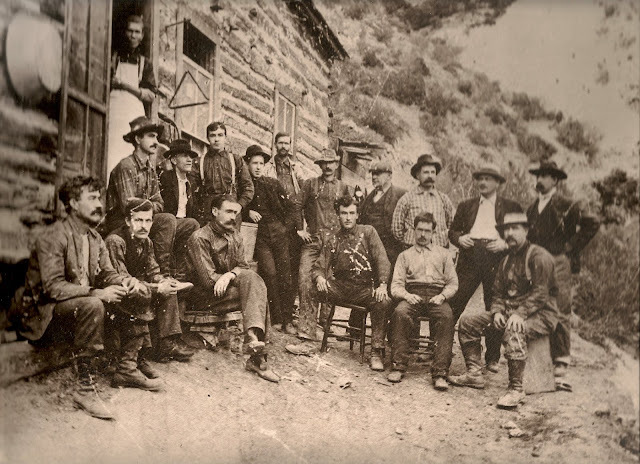 Ten to twenty or more men might occupy a miner's boarding house at a prosperous location. That many men can deposit quite a few bottles, including an inordinate number of liquor bottles. Photo courtesy of the Utah Historical Society. 'Typical miner's boarding house' thought to be mtns. near Stockton, Utah. Late 1870's ? I have several sites that I use for this "field dating". Sites that I know for certain were occupied only for a precise time that I can document. I have not found small Miller's in what I consider a precise 1870 to 1871 time frame. They could be there, ? ?, I haven't seen them. 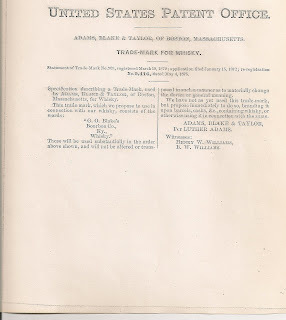 I have found them in the 1871 to 1873 time frame, along with their contemporaries, full face Cutter fifths, star in shield Cutter fifths, J.Moore fifths. But, the big BUT, I also found large circle Miller's at this location. So, this is what I can share with you as far as dating the Miller's flasks. When did the first Millers Extra flasks hit the market? Dunno! Was the small circle Miller's the first of the two designs? Probably. Do I think the small circle is as early as 1869? Probably not. Are the Miller's flasks older than the Miller's fifths? YES! err most likely. These are my findings and I'm sticking to them!! This bottle dating thing, try as we may, has many variables. Is it really more than a "SWAG"?? Dunno. Here are a few picts. sent to me from a collector and blog follower OL'BODIE. He has built a mighty fine collection, including some spectacular examples. It's great when we get to see some of these super collections.. Thank you for sharing. WOWZER!! LOOK AT THIS GROUP!!! Thanks Bill, you have a heck of a collection. Ladies and gentlemen of the jury; have you reached a decision? On the charge of falsely impersonating a Glass Works, we find the defendant, Holt Glass... GUILTY! Based on weeks of both my and Andrew K's research, aided by libraries, historical societies and online archives, the irrefutable truth is that the existence of Holt Glass Works has been disproved. And that is what we have accepted as fact for the past four decades. A few weeks ago, in an effort to date a different variant of the Gold Dust tool top that surfaced (it has a 684 "H" base mark), I decided to dig deeper into the Holt Glass story. Turns out that Andrew was doing what amounted to identical research; neither of us being aware of what the other was doing. This amounted to a double blind test when the cards finally hit the table. And so, using different tools, we attempted to put the pieces of the puzzle back together. Problem was, the harder we researched, and the deeper we dug, the more Holt's mere existence seemed to slip from our grasp. To heck with tightening up the time frame and narrowing down the "* H" to "*** H" base mark. We couldn't even find written documentation of a Holt factory. 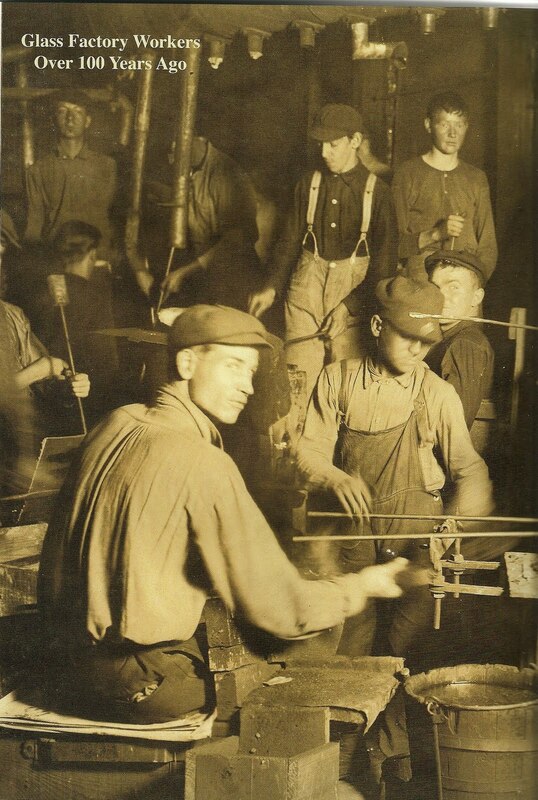 March 23 1885 - Campbell Glass Works of Berkeley about to begin producing glass by May 1st. May 22 1885 - J. Campbell & Co. (proprietors of Campbell Glass Works) dissolved and J.H. Campbell to continue business in his own name. January 15 1887 - O'Neil Flint Glass Works of West Berkeley burned and planned to be rebuilt. November 7 1895 - Vacant glass works in Berkeley. March 26 1896 - Glass works in West Berkeley to be re-opened or re-built. 1902 - Vacant glass works in West Berkeley on 2nd and Addison Street. Later, we found a link to a Wm. Holt in conjunction with glass making in Berkeley. The reference was gleaned from a book written in 1952 entitled The Glass Industry; Volume 33‎ - Page 256 (Technology & Engineering - 1952). In the meantime, weeks worth of corresponding finally started to pay off and I began to receive information from research librarians and historical societies in the East Bay. I also spent the better part of a day digitally screening all copies of the S.F. Call, and other Bay Area newspapers for news articles and or advertisements. 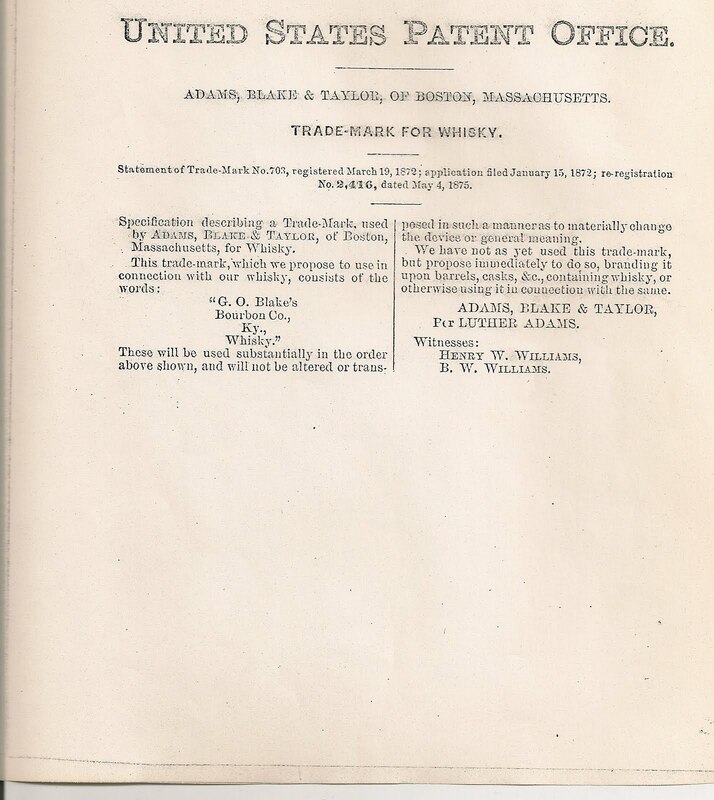 I ran Holt Glass, Berkley glass factories, Berkley glass works, etc. etc. from 1890 - 1906. The search was absolutely void, nada, nuthin'~. I found many references to industrial and manufacturing businesses in West Berkeley during the era you mention, including multiple references to a glassworks called O'Neill Glass Company located at the foot of University Avenue. However, there was no mention of a Holt Glass Works or Factory. There were also references to two substantial fires in the area. The first, in 1893, is described in The History of West Berkeley as "BIG FIRE at Sixth and Delaware destroyed four buildings including a shoe store, a saloon, a butcher shop and adjoining dwellings." The second, in 1901 is described as "A disastrous fire destroyed the Niehaus Brothers & Company Planning Mill." Neither mentions a glassworks. The California State Archives failed to produce any dates of incorporation for a Holt Glass Factory located anywhere within the confines of the State of California. In conclusion, it appears that the base mark theory has been debunked. Yes, there are number over letter combinations but they can not be definitively linked to the non-existent Holt Glass works, or any other glass works for that matter. It also appears that Wm. Holt simply resided in Berkeley. He was indeed involved in glassmaking to a certain degree. 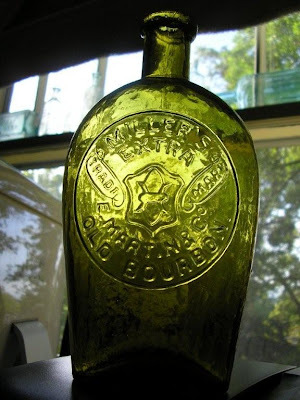 However, his involvement was strictly limited to flat glasswares, as opposed to mold blown bottles, which were produced in San Francisco and not Berkeley. Had he either owned, or been involved in managing a glass factory that produced mold blown bottles, something would have shown up somewhere in the way of advertising or trade related news. The fact is, nothing exists. Much as I hate to admit it, I think that we can agree with all certainty, that both the numbering system that we've attributed to the Holt Glass Works, as well as Holt Glass Works itself, have always been nothing but a myth. Holt Glass; the jury sentences you to anonymity for life! PS: One on hand Dr. Toulouse (and Bill Wilson for that matter), made more than their fair share of mistakes. And yet, they made do with what little they had to work with "way back" in 1971. 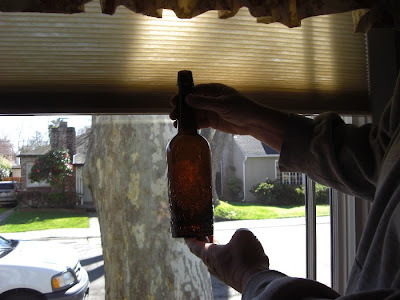 Research into bottles and the companies that made them was all but non-existent. Archives were often located hundreds or even thousands of miles away from where these authors sat at their desks, trying to put the pieces of the puzzle back together. The internet was decades off and what research being done at that time was often accomplished via phone or US mail and often relied on librarians who may or may not have transcribed the available facts to the letter. That being said, both authors did the best they could with what tools that they had available at the time, and yes mistakes were made. But without their efforts, odds are, we wouldn't be sitting here today, having a cup of coffee some forty years later, reassembling the pieces of the puzzle that they left for us. RECENT FIND .... REAL RECENT!! Yikes! Look what just came out of the ground.